The Disney Renaissance came to a head with 1994’s The Lion King. The past five years had been a time of change and prosperity at the studio after years of financial and critical disappointment; however, nobody had an inkling of The Lion King’s future success. Everyone and their mother has seen and loves this film, but just in case: Simba is the son of King Mufasa and rightful heir to Pride Rock. Weak but egotistical uncle Scar envies his place and takes matters into his own hands. Simba must overcome his past and himself to face Scar and claim his birthright. 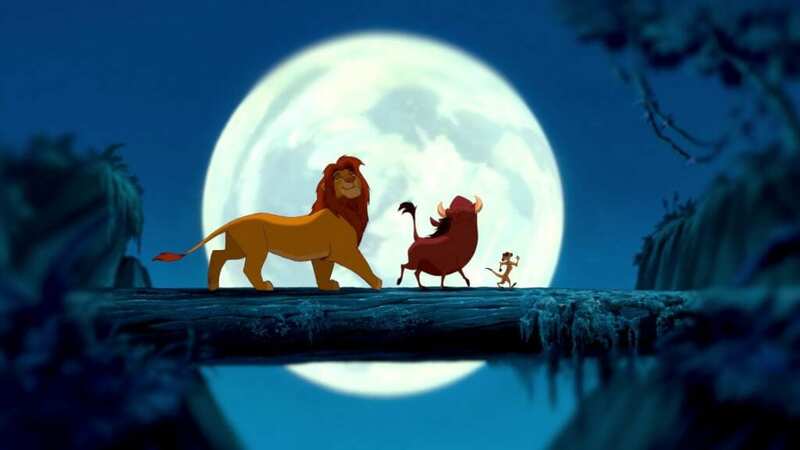 Although at the time The Lion King was marketed as Disney’s first animated film with an original premise, it’s been noted how similar it is to Shakespeare’s Hamlet. It reminds me of Macbeth, for that matter; for example, when Scar becomes king, the sky is grey and drought and famine spread. Everything’s so dry that, when struck by lightning, the trees burn up instantly. I’m willing to bet that, overall, The Lion King is Disney’s most universally beloved film. Rarely do you hear anything but praise and adoration for this movie. Oh, sure, Disney’s got lots of crowd pleasers, but The Lion King is on another level. I like it a lot myself, but I don’t think it’s without fault and I don’t consider it to be Disney’s finest work. One of the main aspects of this film that people remember and love is the music. Hans Zimmer provides a beautiful and powerful score that I find flawless. It’s grand at the right moments, melancholy at others, and occasionally playful. Zimmer is one of my favorite composers, and this is among his best work. That being said, I actually don’t love all of the songs Elton John wrote for the film. My favorites are “Circle of Life,” “Be Prepared” and “Can You Feel the Love Tonight?” but I don’t like “I Just Can’t Wait to be King” at all, and the film’s iconic number “Hakuna Matata” is just OK. The cast of The Lion King is impressive; that’s undeniable. James Earl Jones is fantastic as Mufasa, and Jeremy Irons makes delicious fun out of an otherwise generic villain (who also happens to be Jafar in animal form). Nathan Lane and Ernie Sabella kill it as Simba’s sidekicks/adoptive dads Timon and Pumbaa. Actually, for me the weak link is Matthew Broderick as adult Simba. Simba is a pretty compelling character, especially for a Disney lead at this time. Disney heroes had only recently developed beyond being brave and kind, aside from Pinocchio. The problem is that Broderick plays it too straight. His performance makes the character and his plight more difficult to connect with. My favorite is probably Rafiki. I’m partial to the type of character who plays a minor role, but gives meaningful advice or help. And he’s just so much fun. The way he and Simba interact reminds me of Yoda and Luke in The Empire Strikes Back. This Lion King has a really great message, actually, and one far off from the usual “be yourself” shtick that was already a little tired by this point. However, I have one problem with it. Rafiki tells Simba to learn from his past and confront Scar. The problem is that, at this point, Simba still believes he has killed Mufasa and caused the whole situation. Rather than own up to a mistake he made, he must stand up to the real culprit who set up the whole plot. The theme of facing your past and learning from it still works, it’s just a little weird how it’s executed. Presumably the reason he decides to return and face his uncle, ghost dads notwithstanding, is because Nala told him what a bad king Scar is. It’s just so awkward, narratively, that Simba only learns that Scar orchestrated the killing because Scar tells him so.